It feels good to feel good, right? A vibrant, energy filled life is something every person desires! The very habits and routines that are a part of our everyday life have the potential to achieve a healthy existence for us or leave us feeling less than fabulous on every level -- spirit, soul, and body. Sleep, exercise, emotional health, our spiritual walk, the food we eat -- all these things contribute to the daily reality of life as we know it! And it's not surprising that it can get pretty confusing trying to determine where to begin or how to maintain this idea of a vibrant quality of life that’s available to you. You may find yourself asking what’s right for me? Last week it was kale! This week its Indian Gooseberry!! Should I walk or do yoga? How do I know who to listen to? What are the best first steps to take? The options are endless! Sometimes it’s necessary to clear the air and get back to some basics. 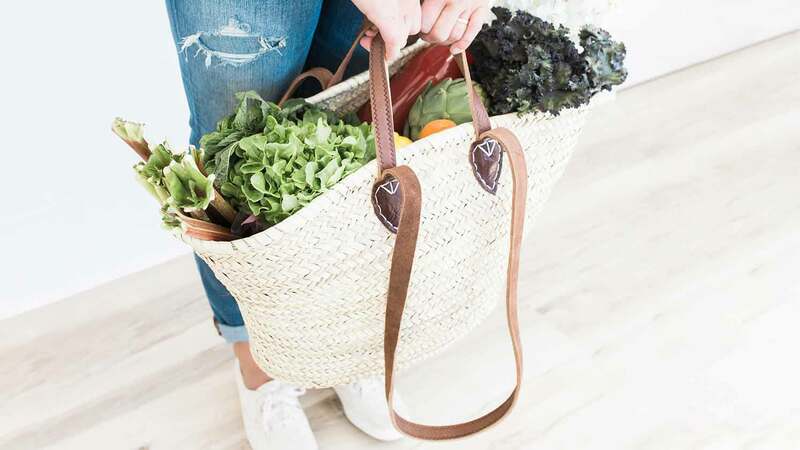 There are a few key essentials that are foundational when it comes to making changes and finding longevity in a journey toward food freedom and a healthy life. So let’s start there. -- Knowing you need to reestablish discipline and create a lifestyle of daily pursuing health rather than “dieting” off and on. -- There may be a scripture that stirs conviction toward greater health goals. -- It might be family, grandkids, or your significant other that compels you to attain and maintain health. -- Or it can be more serious like a diagnoses with a doctor’s orders to make changes now to assist in restoring your health. -- Find your why and write it down! DON'T WAIT ANOTHER DAY! NO MATTER WHERE YOU ARE IN THIS JOURNEY, TODAY HOLDS POTENTIAL FOR CHANGE. Second, it’s important to understand that the food we eat can bring life and healing to our bodies or create an environment where it’s easier for sickness and chronic conditions to thrive. Inflammation is the culprit of this and is due in large part to repeatedly consuming foods that cause irritation to the gut. After a while, inflammation can negatively impact our well-being from head to toe! Curious as to what foods are most inflammatory? Stick with me here all the way to the end! The most problematic foods for the majority of people tend to be foods that contain gluten/grains, dairy, sugar, legumes, alcohol, carrageenan, msg, sulfites and processed foods. The good news? Inflammation can be addressed relatively easy through what we eat. Focusing on a non-inflammatory, nutrient rich diet can drastically reduce inflammation and improve how you feel. It takes time learn what truly nourishes you but eliminating some or all of these foods from your diet can be a great place to start. Which leads to the third and final thought. Don’t wait another day! No matter where you are in this journey, today holds potential for change. Each day we’re alive and breathing is a gift and worth stewarding well to honor Jesus! When we take seriously the truth that our body is a temple of the Holy Spirit and we’re set on honoring him it impacts our choices all around. Including the food we consume! While our spiritual and emotional health is just as important as our physical health, cleaning up our diet in order to heal and restore can allow for more energy and freedom to care for the whole you. The easiest “take action” step you can make is to simply eat real, fresh, whole foods at every meal. Well sourced proteins, lots of fresh veggies, and good fats with additions of fruit, nuts and seeds. If you start here, you will be well on your way! There’s much to be gained! Consistently eating for your health is completely doable, delicious, and it has the power to change your life. Susan Marks is a Certified Whole30 Coach and on staff at Passion City Church helping lead their FLOURISH Mentoring program.